Past Life Astrology by Judy Hall is blowing my mind a little right now with how accurately it relates to my own life experience and my more or less educated guesses on what is karmic in this in this incarnation. I feel I finally have a chance to get a handle on what is what through reading this book and carefully studying my own birth chart. Not only that, I believe this information translates beautifully into an opportunity to delve even deeper through targeted readings on each of the different types of personal karma. Other types of karma are group karma, collective karma (global) and cosmic karma. For what planetary and house aspects refer to each of the different types of karma, you will need to study the information in the book. I have listed the various types of personal karma so that you can choose the area that you feel is most heavily impacting your life at this moment in time to read on. How can reading on personal karma help you grow? 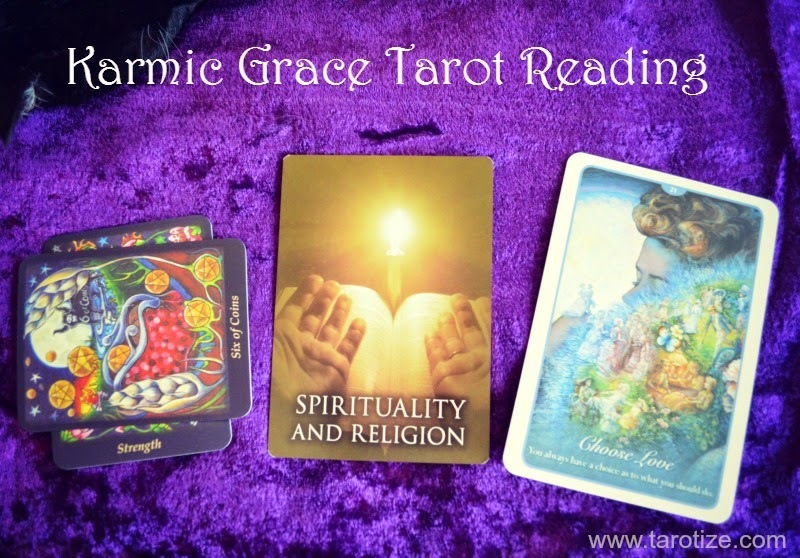 It can help you grow by understanding exactly how this karma is playing out in your life today and also what grace you can call on to resolve the karma permanently once you have done all in your power to work things out. This is especially true about relationship karma. I have met countless people who have been pulled into karmic relationships that leave them feeling as if they are banging their heads against the wall since there is no way forward for resolving things with the other person (ah, yes – free will!). The spread that unfolded itself in my mind after reading this is quite deck specific but feel free to choose other decks that call to you. 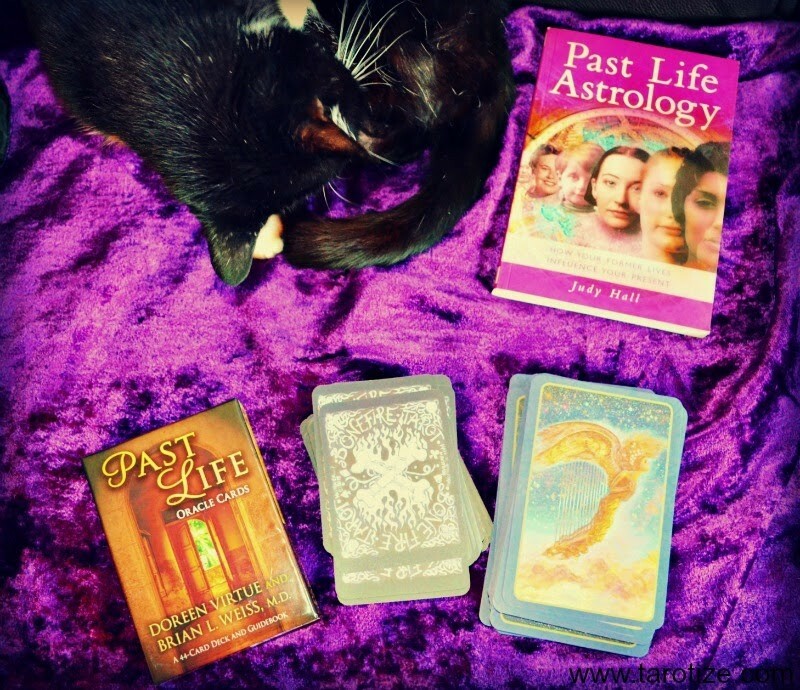 However for the Past Life position, I do recommend the Past Life Oracle Cards which I find spookily accurate. 6 of Pentacles. Again, I find myself gobsmacked at how effin’ spot on the cards are… It’s like they’ve been gagging to read about karmic issues. The reason I decided to read on this is because I seriously suspect monastic vows of poverty. Lo and behold… here we find the Spirituality and Religion card! Choose Love. This card is a reminder that I have the power to choose what to do about this situation. It is time to create a different, more loving vision for my financial future.